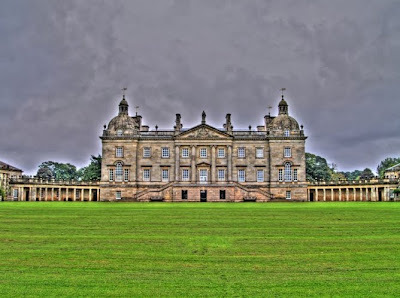 We just had to pay a visit to see Houghton Hall, just south of Sandringham in Norfolk. The house has links to the Walpole family, the most famous Walpole ghost is that of Lady Dorothy Walpole, also known as the brown lady also of (Raynham Hall) as seen in the very famous image of her photographed floating down the staircase at Raynham Hall. She was given the nickname ‘the brown lady’ because people see her wearing a brown brocade dress, the ghost made an uncanny resemblance to a portrait painting of Lady Dorothy Walpole that hangs on a wall at Raynham Hall and is said to be her shade that lingers around both Houghton, Raynham and Sandringham House, which is the Queens country residence. 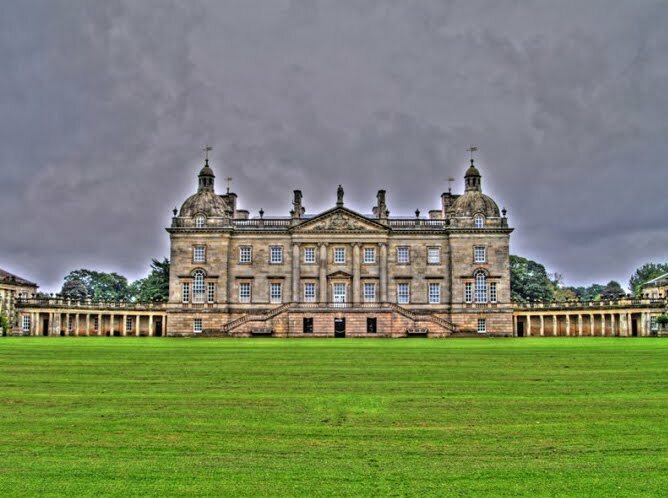 Dorothy was the daughter of Robert Walpole the owner of Houghton Hall and one time member of Parliament, she was also the sister of Sir Robert Walpole, famous for becoming the 18th century Prime Minister. 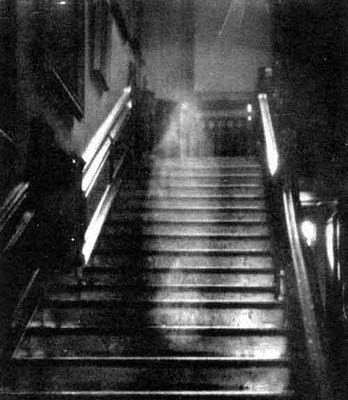 Dorothy ended her days in Raynham Hall after been locked in her apartments at Raynham where she died either of smallpox a broken heart, some say she met her end by being pushed down the grand staircase, the very place where her ghost was captured on camera. Two men saw her apparition and one had a gun and shot right through the figure, the bullet embedding itself in the door behind where she was stood. Although pretty in life, Dorothy appears horrifying as she has been seen with grotesque features, devoid of eyes, people who have seen her say they only saw black sockets where her eyes once were. A photographer from the country life magazine visited Raynham Hall to take some photos but got more than he bargained for. What he caught on camera is said to be one of the best photographs of a ghost in existence today. Houghton Hall is a beautiful place, with its walled garden which won the prestigious ‘best garden award 2007’. The model soldier collection is amazing too.